ForX Design Studio：Text description provided by the architects. 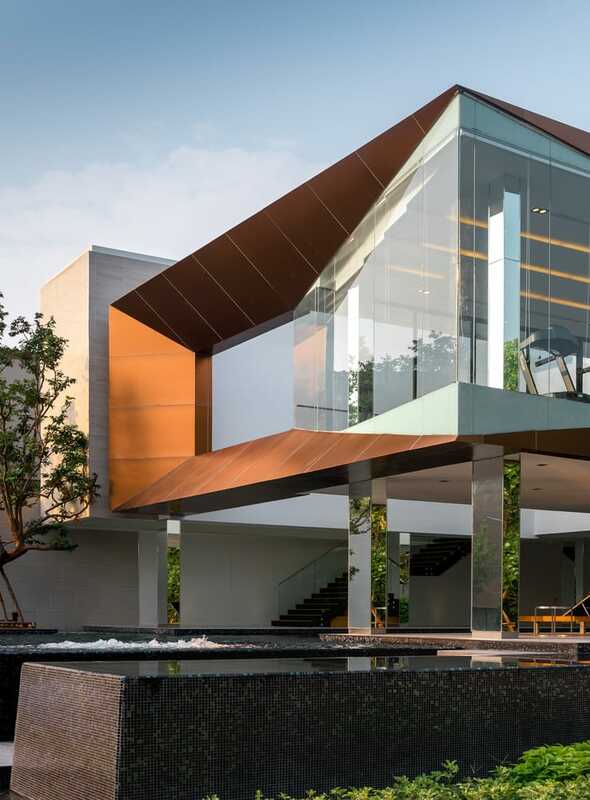 Baan Klang Mueang Clubhouse, created for residents’ private use, is a contemporary space with an integration of modernized traditional Thai space. The mass of the clubhouse is elevated above the ground to create an open, ventilated space underneath that serves as a relaxing and comforting place. The ground floor is a passive space used for outdoor activities and the second floor is mainly used for indoor activities that include fitness, library and juristic office. The ground floor consists of a terrace, a jacuzzi that surrounds a huge tree and swimming pools for both children and adults which are enclosed so everyone is brought together and will feel collaborated in their activities. The courtyard above opens the sky to the swimming pool swimming pool and the columns are camouflaged by using mirrors which creates a flow of the endless space and reflects the green trees around it so the people in the space feels connected to nature with nothing in between them. The glass roof above the staircase allows sunlight through the building to save energy as less artificial light will be needed. The fitness is open to the outside by using transparent glass so the green nature and the canal can be seen from above. 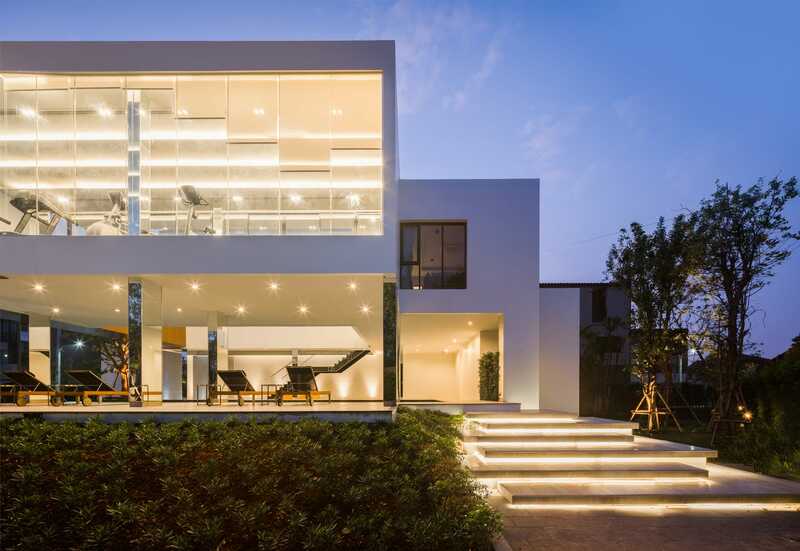 We created a natural space in the Bangkok urban area where the functions and the structure are combined instinctively.